Ricardo Schmidt is the Partnership Executive for TEDxSydney, responsible for assisting in identifying and creating synergies between the partners and TEDxSydney, developing strong and lasting relationships for mutual benefit. 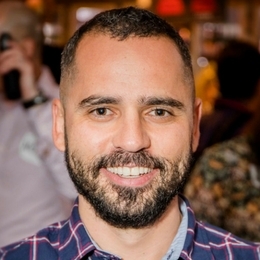 Ricardo moved from Brazil to Australia in 2011 and since then has been organising tech meetups to connect people, supporting those who moved from different countries and need support and incentive to get into the IT industry. Ricardo works as a DevOps Engineer, automating and improving the way companies delivery software in the cloud. His passion for technology started in 2001 when he started his career as a Developer. Ricardo has been involved with projects for companies like Amaysim, Westpac, St George Bank, Bank of Melbourne and Warner Bros.
His love for connecting people and spreading inspirational ideas drove him to found the Circus of Ideas, an event inspired by TEDxSydney that happens in Bondi Beach to talk about Mental Health, Innovation and Art.